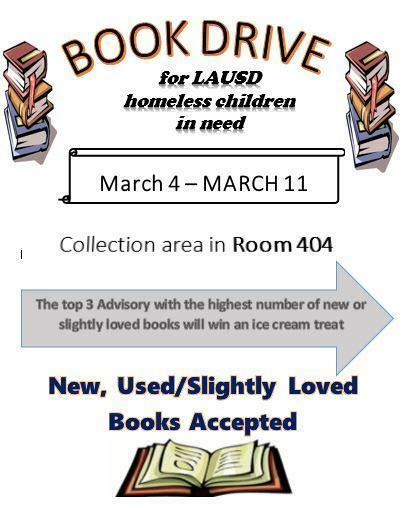 The English teachers listed will have after school "Boot Camp" intervention this week. Students who are in the Library with Ms. Cao or the Computer Lab with Mr. Betancourt or Ms. Gottschall, the last day of intervention this week will be tomorrow, April 11, 2019 . We will resume April 29 through May 3 and then May 13 through May 23. If you have any questions, please contact the school. May 18th at 7:30 a.m. in Room 401 (for incoming 6th graders and new 7th grade students) Go to https://www.holmesms.org/ by May 16, 2019 to reserve a space. May 18th (M – Z; parents of students taking math placement exam) 9:00 – 12:00 p.m. June 8th (A – L) 9:00 – 12:00 p.m.
Disbursement of books, lockers, student ID, etc. Completed forms will be required in order to receive the above items. Forms will be available online to print in August. 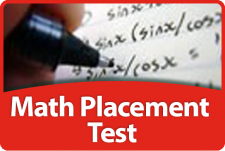 Please register your child for the Math Placement Exam on Saturday, May 18, 2019 or Tuesday, May 21, 2019. 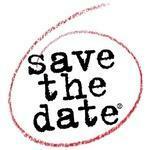 May 18th: Registration begins at 7:15 a.m. The exam will begin promptly at 8:45 a.m. ( 1 hour) Parents may stay for the New Student Orientation regardless of last name. Click on the title to access registration form. Estamos pidiendo a los padres y tutores que participen en una breve encuesta en línea sobre las necesidades futuras de nuestra escuela. La EVALUACIÓN DE NECESIDADES es una herramienta para recopilar información de los interesados en el desarrollo del Presupuesto Categórico para el año escolar 2019-20. Esta información será tomada en consideración por el Concilio escolar local, quien tomará la decisión final sobre el presupuesto. Para acceder a la encuesta, vaya al sitio web de Holmes en www.holmesms.org y haga clic en el enlace EVALUACIÓN DE NECESIDADES. Por favor, tome la encuesta antes del jueves, 3/21. Le agradecemos su aporte. We are asking parents and guardians to participate in a short, online survey regarding the future needs of our school. The NEEDS ASSESSMENT is a tool to gather input from stakeholders in the development of the Categorical Budget for the 2019-20 School-year. This information will be taken into consideration by the School Site Council who will make the final decision on the budget. To access the survey, copy and paste the link below. Please take the survey before Thursday, 3/21. We thank you for your input. 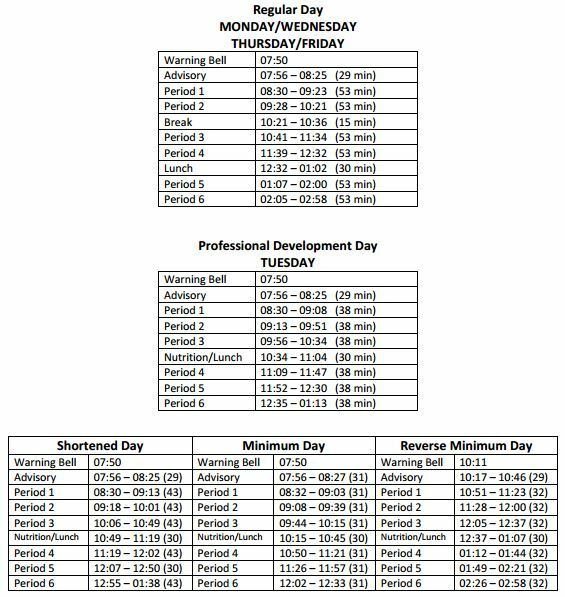 Mondays, Wednesdays, Thursdays, Fridays from 3:10-4:10 p.m.
Click here to download a Student Daily Sheet for Parent-Teacher-Student communication on a daily basis. 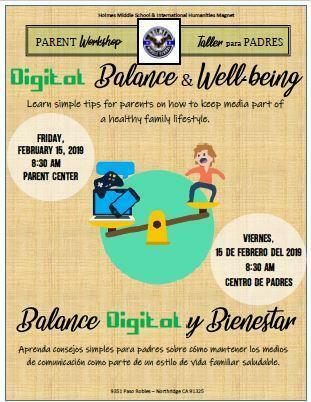 All LAUSD parents and families are invited to join Dr. Quaglia, expert in developing student voice and aspirations, in an interactive session that includes gaining knowledge and skills to inspire, support postsecondary aspirations, and engage in positive communication strategies. See attached flyer for times, dates and locations. To ensure a seat, please RSVP. 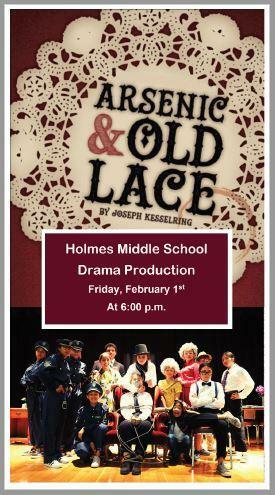 Join the Holmes Drama Production in their performance of Arsenic & Old Lace!!! Congratulations to the Holmes students who participated in the 2018-2019 PTSA Reflections art program. ALL participants are invited to attend an Ice Cream Sundae Party and Art Gallery at the PTSA meeting on Thursday, January 31st at 6:30 PM. Invitations will be sent home. Special congratulations to our Holmes MS Reflections winners that were sent on to the 31st District! Mariachi Aguilas Club Auditions on Monday, February 4th at 3:25 p.m.!!! Dear Holmes Eagles, due to a high volume of interested students Mariachi Aguilas will be holding auditions Monday, February 4th at 3:15pm. Auditions are open to all Holmes students and you will need to pick up an audition form and choose your audition time slot in room 303 before Friday. Once you have auditioned you will be dismissed and can check for results the next day posted outside room 303. After the audition on February 4th rehearsals will resume on February 6th every Monday, Wednesday, and Thursday at 3:15pm in room 303. See you then, Go Eagles!